Description: You will not be able to purchase a better quality pet food, anywhere in the world. It is extremely beneficial to your Pup’s lifespan to start out by feeding a high quality diet, it is just common sense. 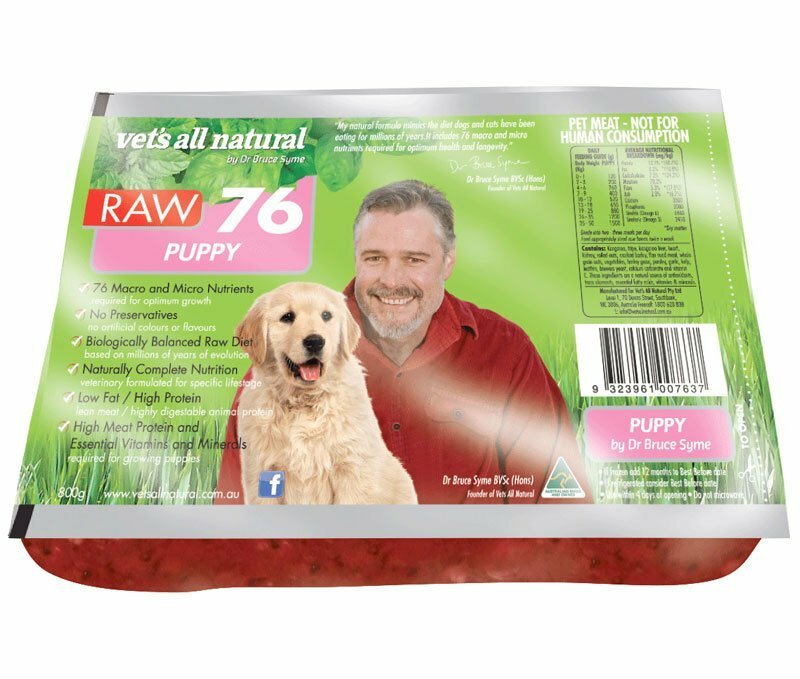 Premium Choice is the only pet food in the world to contains every one of the 76 elements dogs require for the PERFECT diet, hence, health and well-being. Totally natural, raw and 100% preservative free. Recently added, preservative free beef tripe is a wonderful source of fat free nutrients and is also a superb low allergenic meat. Comes in an 800g pack. Ingredients: PRESERVATIVE FREE Kangaroo meat and beef tripe, plus, Dr. Bruce’s “Complete Mix”. The special combination, just for puppies, that contains ALL 76 elements dogs can absorb in their metabolism.